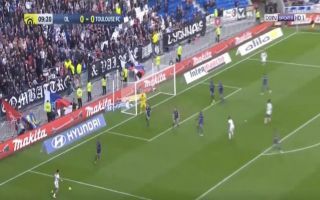 Lyon winger Memphis Depay produced a brilliant moment of magic to get his name on the scoresheet against Toulouse on Sunday. According to former France international Robert Pires, who sat down for an interview with BWIN at the start of the week, Depay is hoping to earn a second stint at Manchester United in the near future, after leaving the club in 2017. The Dutchman has reignited his career in France over the last year and a half, helping Lyon to challenge at the top of Ligue 1 and compete with the very best in the Champions League. Lyon were at their best over the weekend to thrash Toulouse 5-1 in the league, with Depay grabbing the all-important opening goal after 10 minutes. After picking the ball up on the left wing, the mercurial attacker weaved his way into the box and turned his opponent inside out with his quick feet and dribbling ability, before firing in a powerful strike which nestled into the far corner of the net. Depay will have increased his chances of a Man United return with his latest spectacular solo goal, which you can check out below, via Twitter. Memphis Depay is back to being Memphis Depay ?